1976 Y82 50th Anniversary Trans Am was the first appearence of the line of Special Edition Trans Ams. Included a gold "50th Anniversary" badge signifying the 50th year of Pontiac. Came with gold decals and stripes outlining the body of the car. Had gold appointments outside and in including gold steering wheel and dash bezel. The 50th Anniversary Limited Edition was the first in a long line of Special Edition Trans Ams. 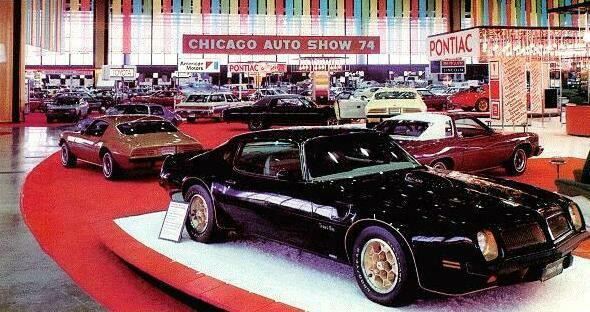 The Black and Gold Trans Am first made it's debut at the 1974 Chicago car show. If you want to check out photos of the actual car.. Click Here. There was such a good feedback from this show that they brought the infamous "Black and Gold" back for the 1976 Limited Edition 50th Anniversary Trans Am. Pontiac decided to produce 2400 Limited Edition for the 1976 model year (but actually made 2,590). All of the Limited Edition Trans Ams were supposed to be produced with the Hurst hatches, but Pontiac discovered that the Hurst Top tended to leak so only the first 643 Limited Editions had the Hurst roof, the remaining 1,947 came without the Hurst Hatches. They were given the designation "Y82" and it did not matter if they had t-tops or not, they were still all designated "Y82". The Y81 code did not come out until 1977. The Limited Edition package with the Hurst Hatch roofs was an $1100 upgrade to the base Trans Am and the Limited Edition without the Hurst Hatches was only a $450 upgrade. The L78 Pontiac 400 was the standard engine and the L75 Pontiac 455 was optional. There were a few things that were dumped at the last minute. The first was Raised gold-lettered Goodyear tires which never made it and the second was black chrome tail splitters. The tail splitters proved to be too expensive to produced so they were dropped although a few did reach the production line (rumors say only 8 of them left the line with the black chrome tail splitters). So, if you have black chrome tail splitters... SAVE THEM. The car first made it's debut as a Concept car at the 1974 Chicago auto show. It was actually a promotional car the lead to the design and development of the 1976 Limited Edition 50th Anniversary. It was a 1973 Trans Am with a 455SD engine dressed up with Black paint job with gold metallic flake in the paint, gold pinstripes, and the interior had a special silk material and a Cadillac carpet. You can learn more about the car at the link below. 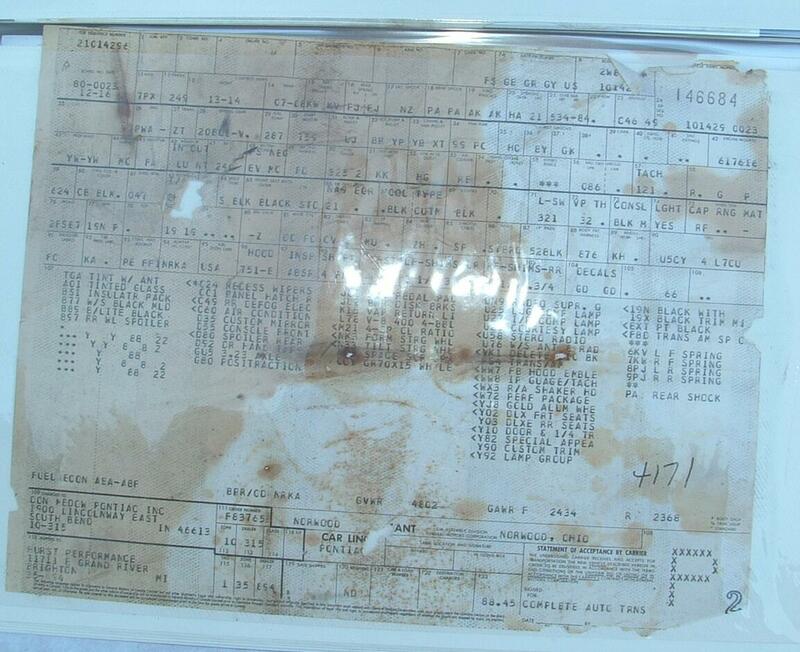 As with any of the Special Edition (or any Trans Am for that matter), the best way for documenting that your car is a Special Edition is by having the original build sheet for the car. The VIN number won't tell you, the Cowl tag won't tell you, only the original build sheet or the PHS Documentation will tell you for sure if your car really is a Special (Limited) Edition. Above are a few other links about the 1976 50th Anniversary Trans Am. This gets a little confusing because people say that 1979 was a 10th Anniversary, so how can a 1976 be a 50th Anniversary. Well, the 10th Anniversary Trans Am in 1979 was the 10th year of production of the "Trans Am". This 50th Anniversary is the 50th production year of Pontiac 1926-1976. There is the same confusion when you talk about the 30th and 35th Anniversary models as well. The 30th Anniversary was 1999, and the 35th Anniversary is 2002. So how can a 5 year Anniversary fall only 3 years apart? 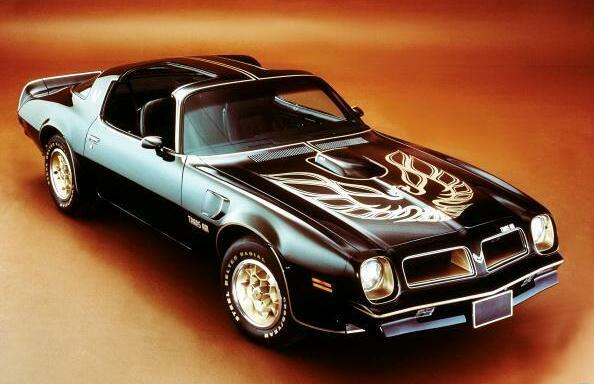 Well, the 30th was the Anniversary of the Trans Am 1969-1999 and the 35th was the Anniversary of the Firebird 1967-2002. Pontiac decided to produce 2400 Limited Edition for the 1976 model year. Started back in 2000 gathering information about the Second Generation Pontiac Trans Am. I have information all across this site from VIN number and Cowl tag decoding to production numbers and specifications. Pages highlighting differences in decals, rims, interiors and more. Also check out the store to save some money on your restoration project. Currently rebuilding website for the next generation. Copyright 2001-2016. 78TA.com, LLC All Rights Reserved.